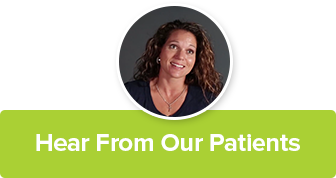 One thing we’ve noticed after IV nutritional therapy is dramatic improvement, nearly immediately, if the patient has cold or allergy symptoms, they feel run down, fatigued, or under moderate to severe stress. We have seen patients return to completely normal and their symptoms go completely away while the IV is still running. It can be that powerful! We often recommend weekly or bi-weekly therapy for some of our patients with chronic fatigue syndrome (CFS) or fibromyalgia. Again, the results can be immediate and dramatic while others need several treatments to begin to notice an improvement. With improved health many of these patients are able to discontinue regular IV therapies but there are certainly others that want to continue because of how they feel. We can tailor these therapies for your specific medical conditions but many patients benefit from a standard Myer’s Cocktail, as it is often called. IV nutrition can provide much higher doses to provide the nutrition you need. Intravenous supplements are very safe, beneficial, easy to receive, and very effective. These therapies last between 30-120 minutes. You can relax and listen to soothing music or watch a movie on your TV while you receive your IV nutritional therapy. Select your IV Nutrition Therapy cocktail from our extensive menu and get “infused” about life and living well! Are you under a lot of stress? Do you have adrenal fatigue? Are you constantly tired? Then this is the cocktail for you! Get this one weekly if you have a lot of stress! If your immune system needs a kick then give this cocktail a try! Stay well, especially if you are prone to infections. This cocktail contains a powerful mix of nutrients to enhance your body’s natural defenses and increase energy. A weekly routine is recommended for those especially vulnerable or with weakened immune systems.